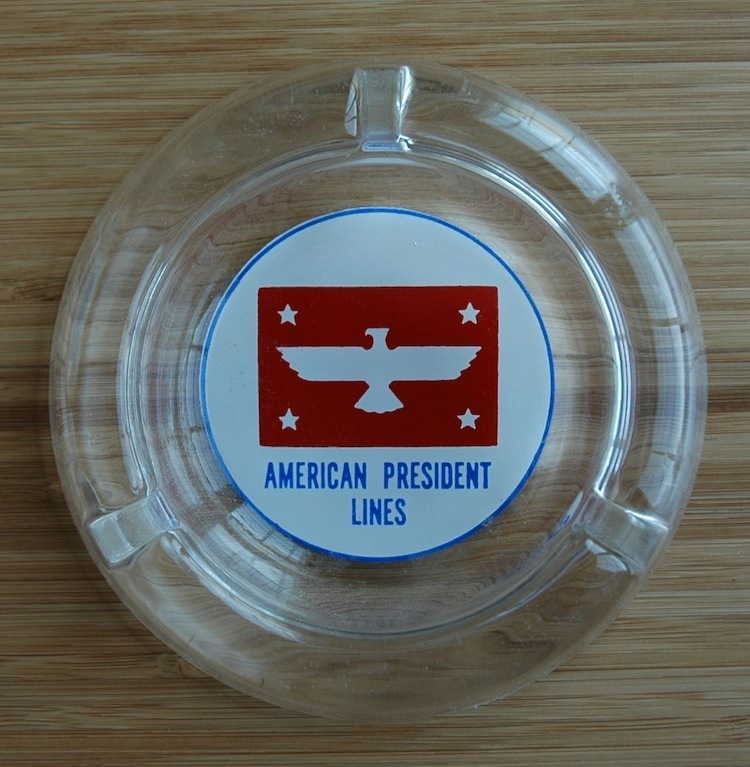 Unusual American President Lines ashtray as used onboard in the 1950’s. Not the typical shape seen. Included is a mint-condition set of original matches. Measures about 4”. 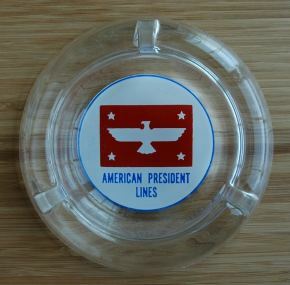 A triangular shaped ashtray is also available for the same price.